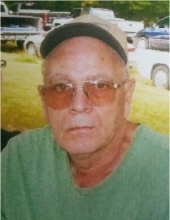 Mr. Gary Dale Carver, age 69, of Quincy, Kentucky, passed away Monday, January 28, 2019, at Southern Ohio Medical Center in Portsmouth, Ohio. He was born June 20, 1949, in Lewis County, Kentucky, a son of the late George and Dorothy Carter Carver. Gary was of the Baptist faith and he enjoyed going to car races, watching races on T.V. and spending time with his family. In addition to his parents, he was preceded in death by two brothers, Lowell Carver and Norman Carver, and one sister, Katherine Davis. Gary is survived by his wife of 49 years, Joyce Kennedy Carver; three brothers and two sisters-in-law, Melvin and Edna Carver of Garrsion, Kentucky, Bob and Lillie Carver of Columbus, Georgia, and David Carver of South Portsmouth, Kentucky; three sisters, Wanda Pruitt of Garrison, Kentucky, Marcella and Ward Cabel and Edna and Mitchell Bloomfield, all of Quincy, Kentucky; and his canine companion, Nikki. He also leaves many other family members and friends who will sadly miss him. Funeral services will be held at 12 noon Thursday, January 31, 2019, at Globe Family Funeral Chapel in Garrison, Kentucky, with Brother Clarence Hall and Brother Finley Surgener officiating. Burial will follow in the Crystal Dawn Cemetery in Quincy, Kentucky. Friends may visit from 10 a.m. to 12 noon Thursday, January 31, 2019, at Globe Family Funeral Chapel, 103 Dudley Avenue, Garrison, Kentucky 41141. "Email Address" would like to share the life celebration of Gary Dale Carver. Click on the "link" to go to share a favorite memory or leave a condolence message for the family.